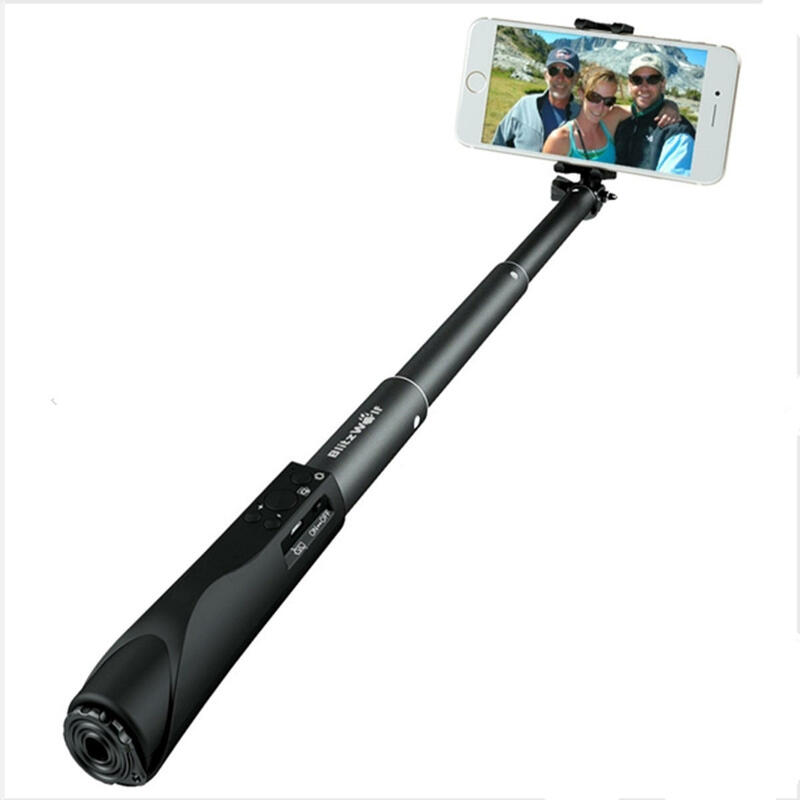 BlitzWolf® Ultimate 4 Button bluetooth Extendable Aluminium Selfie Stick Monopod With Broadcom Chip For iPhone,Samsung Smartphones,Nexus,LG,HUAWEI And Many More. Please don't select the gift when you use the coupon. Coupons and gifts can't be used at the same time. 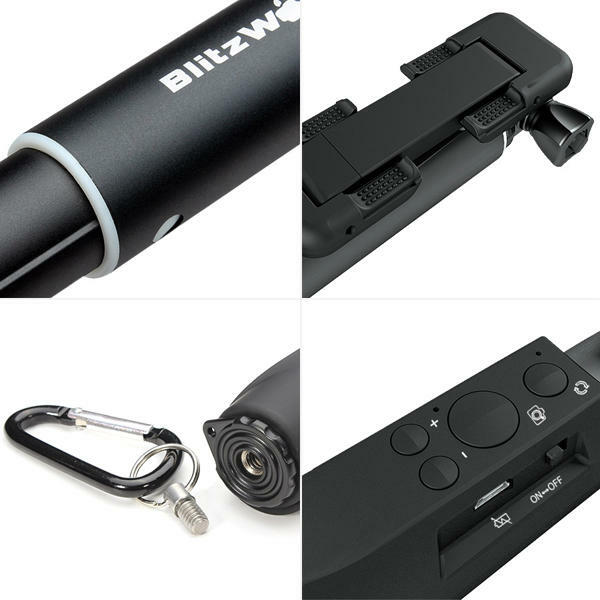 Designed to be the best mini Monopod you have ever bought: Whether you have been through several inferior models already, or you're skeptical about the 'selfie stick' craze, when you see the BlitzWolf, you might just want to give it a go. Styled in 4 contemporary color finishes, chosen to suit your tastes; Manufactured to achieve the best in ergonomic design, style, and compatability with your existing smartphone or camera. 2. High Quality From Head to Toe.Perfect Craftsmanship.Soft Silicone Handle Grip. Matte Aluminium Alloy. 3. Integrated,foldable design: Protecting your Monopod and saving sapce without the need to take apart and re-assemble.ONLY 22.5CM.Easy to carry around. 4. 5 Sections: Use different lengths for the best perspective on all your exciting moments.Simply twist to lock and unlock the Monopod. This provides the best in arm stability and allows a greater load capacity than other monopods on the market. • iOS : BW Shutter is fully compatible and works perfectly with IOS 5.0 or above. • Samsung phones: you can zoom and take photos without any app. 1.If you use with other photo applications the shutter function might be transferred to the selfie sticks “+” or “–“ button, this is normal and part of the bluetooth Key mapping. 2.For Samsung smartphone,if you want to use camera lens switch function,then you need to install App. 4.The app "BW Shutter" on Google Play store may not work. Please download the app via the QR code on the back of package or on our product page. 5.Enable picture saving when you install the app by allowing BW Shutter to access your photos.